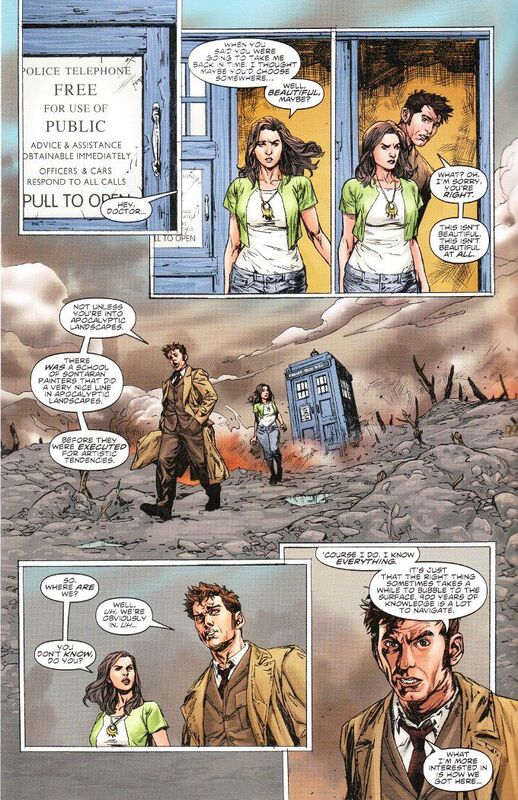 The Tenth Doctor had intended to take his newest companion - aspiring artist Gabby Gonzales - someplace nice and beautiful. But as we all know The TARDIS sometimes takes The Doctor where he needs to be instead of where he wants to go. And where he needs to be is the front lines of World War I, where a group of Weeping Angels is making a meal of the approaching British troops. Robbie Morrison proves to be as skillful in capturing the essence of The Tenth Doctor as he's been in portraying The Twelfth Doctor. He also does a fine job of establishing the supporting cast for this story, creating a truly touching tale for the first soldier to fall prey to The Weeping Angels. 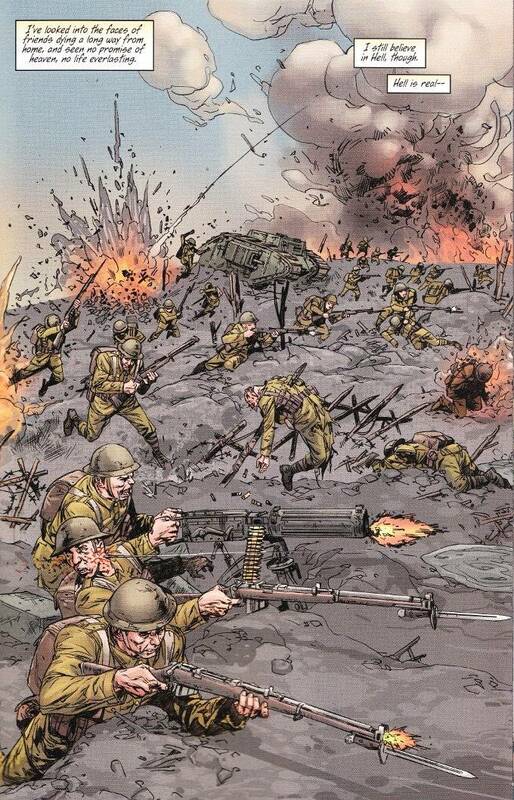 Morrison also manages to convey the true horrors of war without slowing the story down a step. For the most part, artist Daniel Indro matches Morrison in terms of quality on the issue's artwork. Indro has a fine sense of dramatic pacing and a good sense of proportion. The only real flaw is that some of his pages are over-inked, with there being a few occasions where the line work is completely obscured by shadows that seem too thick for the scene in question.